A trustee is entitled to compensation for services as provided in the trust instrument when the trust “provides for a trustee’s compensation” (Prob C §15680(a)), or “reasonable compensation” when the trust instrument “does not specify the trustee’s compensation” (Prob C §15681). But what if the trust provides for no compensation? In that case, the trustee is out of luck. A few months later, the temporary trustee petitioned to appoint himself permanent trustee. He also sought modification of the trust to strike the no-compensation clause. Son objected and the temporary trustee agreed to resign. The court appointed another permanent trustee. The temporary trustee filed a fee petition seeking trustee compensation and attorney fees. The trial court awarded a reduced amount but was reversed by the court of appeal. In the court of appeal’s view, the trustee unconditionally accepted the appointment by performing duties. The trust was never amended to eliminate the no-compensation clause. If the trustee deemed the amount of compensation specified in the trust inadequate, he could have refused to act. 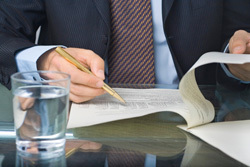 If a trust contains a fee clause that a potential successor believes will provide inequitably low compensation, the trustee should either condition acceptance on modification of the clause by the court or should refuse to accept the appointment until the current trustee has obtained a modification. Prob Code sections 15642(e) and 17206 authorize the probate court to appoint a temporary trustee, but don’t confer authority to compensate a temporary trustee differently from the amount specified in the trust instrument. The decision apparently does not affect the award of attorney fees. For a complete discussion of trustee compensation, turn to CEB’s award-winning book California Trust Administration, chap 9. 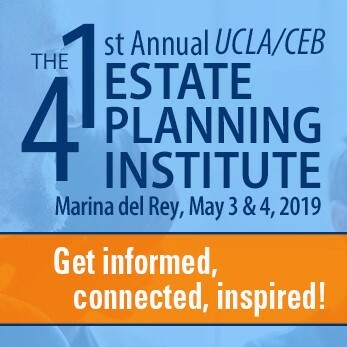 Also check out CEB’s Drafting California Irrevocable Trusts §§10.50–10.51B and Drafting California Revocable Trusts §§16.19–16.20. If I’m not mistaken, the Uniform Trust Code (where adopted) addresses this problem by authorizing reasonable compensation. Right. Not adopted in California, or very many places. Uniform Trust Code §708(b) allows the court to adjust “unreasonably high or low” compensation, and this power cannot be overridden by the trust instrument under UTC §105(b). Thanks for posting the case. Even though the Uniform Trust code does authorize compensation, state can choose what aspects of this uniform code to adopt and case law can affect how courts interpret law. Good to know current case law in this area, especially as a professional fiduciary.